We live in the age of information, in the digital age, maybe we can say we live in the age of Google if we think of the term ‘googlisation’, on the other hand this is not a generally accepted phenomena even though more and more people use it. It already has a rethink as well. But what Google did, is that they entered almost all the industries. With all they different services, just think of the android smartphones, GoogleBooks, GooglePLay, GoogleChrome, Google Map, Google Earth, Gmail, Google Doc etc. (I am personally writing this post right now from my Chromebook). The list seems endless at products and I should also mention at least a few project. Let’s start with Google X, Google Ideas and my special favourite: The Google Art Project. So why is it important to talk about the digitisation of artworks? Cultural heritage sites and museums are also able to provide digital guides (Towse, 2010) about the different sites or exhibitions, most of the time including the special ones as well. In this case, we can talk about ¨digital visit¨ and ¨real-time visit¨, the earlier is based on the fact that the visitor can collect information about his/her own interest in the exhibition from the websites, digital brochures, social media sites and it gives the opportunity to see it even if the visitor is not able to go there in person. The ¨real-time visit¨ is the physical attendance and participation at the exhibitions.It is important to see that there is a demand shifting currently in the museum economics, namely reaching the digital audience. Not just in general, but also specifically at the younger age. For this, museums are have to up-to-date with eye-catching website, social media sites and marketing strategy and also new digital education tools. Digitisation influences the economics of museums, not just with the costs of websites but also, it leads them to the next step of collection management. The Google Art Project (as a part of the Google Cultural Institute) was launched in 2011 with the operation of 17 museums that are considered as superstar museums. (including the Rijksmuseum and the Van Gogh Museum). Later on, in April, 2013 other 134 museums signed for a partnership with Google, currently we can find more than 40 museums and more than 32 000 artworks. The Google Art Project is a combination of the Google Street View and Picasa, that is how they created a kind of ‘Museum View’. The technological part created a new level in the case of digitisation because it is not just a simple view of the painting. We can actually take a tour in the museum with the functions, we can add video and audio contents to our digital tour. We are creating a hybrid viewing by mixing the digital-visit and the real-time-visit through this project. The technological part is also impressive, since the artworks are gigapixel images, I will add a screenshot of my favourite painting from Van Gogh top illustrate the differences. 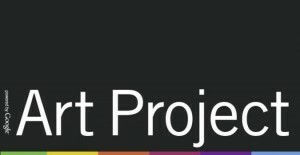 If we enter the website, we can choose between the different projects (among of the ‘simple’ Art project we can find featured projects such Historic Moments and World Wonders. We can search for our favourite artwork, gallery, museum, collection using the Search button and apart of this, we can easily discover the sites by clicking on Collections, Artists, Artworks or User Galleries. One of the main tool that we can use is to create our own gallery. However, I am wondering how this project might effect curators in a couple of years, since at Google, we can be our own curator. Also, there is now a chance to show everything that a museum has. Even if they collection is huge, in the museum they might not have enough space to exhibit all of artworks. Google Art Project makes it possible now. You can use it for relaxing and also to set up the goal to see that particular painting in person. The interesting thing is that so far – against the fears and doubts from the art institutes and firms – the number of visitors are not decreasing since this project.